The 29th annual Folk Alliance International conference kicked off Wednesday night in Kansas City with a star-powered awards show that signaled the organization’s growing influence, despite the fact that none of its musical award-winners accepted in person. Michael Kiwanuka, Sarah Jarosz and Parker Millsap did record video thank-yous for their respective Song, Album and Artist of the Year awards; Kiwanuka and his band, Inflo, won for “Black Man in a White World,” Jarosz won for Undercurrent and Oklahoma native Millsap was recognized in part on the strength of his 2016 release, The Very Last Day. Cox is director of the conference’s music camp, which Meyers started after he stepped down as executive director in 2014, after nine years, to become special projects director. Original director Mark Rubin called it Meyers’ “last great vision” and Cox announced that the camp was being renamed in honor of Meyers, who took a somewhat identity-challenged organization and turned it into a stronger, growing entity. Attendance at this year’s conference rose to 2,781, nearly 300 more than expected, from 2016’s figure of 2,423. About 1,000 are attending for the first time. The Elaine Weissman Lifetime Achievement Awards, named for the Folk Alliance organization’s co-founder, were presented to composer David Amram (Living), activist and songwriter Malvina Reynolds (Legacy) and Canadian folklorist Helen Creighton (Business/Academic). Other Spirit of Folk awards went to musical activist Barbara Dane, Australian festival producer Chloe Goodyear, outgoing FAI board president Michelle Conceison, writer and producer Si Kahn and LGBT advocate SONiA disappear fear. 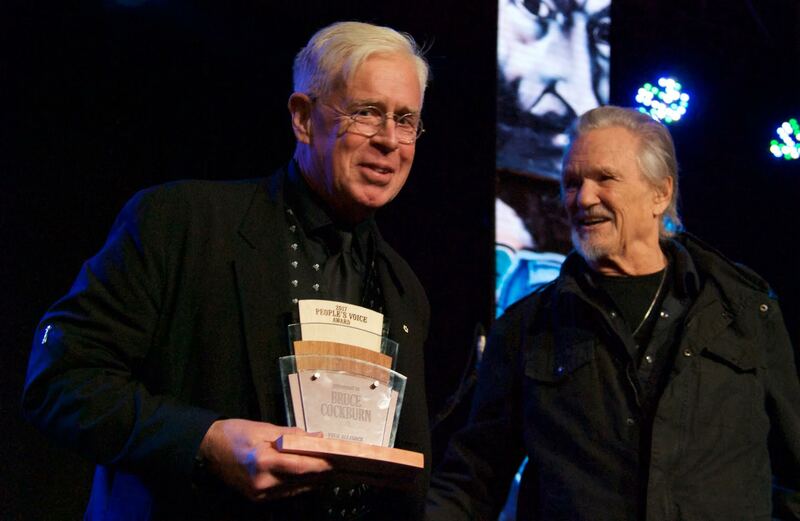 FAI also inducted its first honorees into the new Folk DJ Hall of Fame: Oscar Brand, Mike Regenstreif, Howard and Roz Larman and previous FAI award winners Rich Warren and Gene Shay. The conference continues through Sunday at the Westin Crown Center in Kansas City.